Here is the first (of the collection I own) Post Card that Victor sent to Mrs Kenys. I have not altered the spelling or grammar as far as legibility allows. Remember, Victor was Belgian so English was his second language and thus some of the text does not flow particularly well. 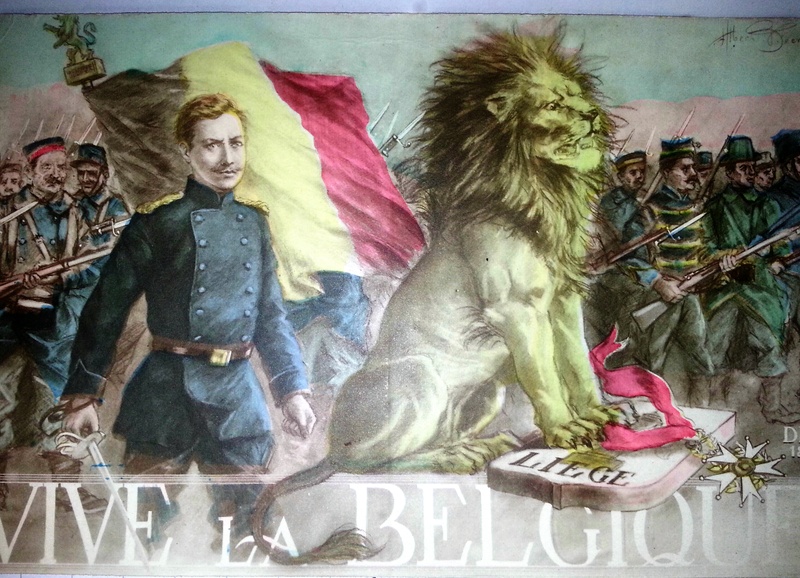 This is the patriotic Belgian Post Card that Victor sent to Mrs Kenys in January 1916. How great was the joy I felt when I received your lovely letter, excellent cigarets and five pocket handkerchieves. I am very thankful and grateful for your benefits[.] Never I’ll forget your worthy home! May god grant all what your generous heart desires. Socks are very useful[.] I should [be] happy to receive a pair but you have sent so much! – Which [Illegible] [Illegible] your charming letters and relieving things.